The Tarot is an incredible tool for healing and creating positive change in people's lives. A good Tarot Reader can use the Tarot to help people through challenging life experiences and difficult choices. It assists with finding clarity and facilitates spiritual growth. The Tarot is a large system and it can be overwhelming when learning the meanings of the 78 cards. Especially when each card could have a completely different meaning depending on the focus of the reading. It Can Be A Fun And Transformational Experience. The Tarot Reader Certification course (also called Tarot Apprentice) is an interactive Tarot experience and a living Tarot book. It will guide you to becoming you own Tarot authority. I've created this course because when you have the right guidance and materials, you can fast-track your learning and start feeling confident as a reader. The course allows you to work through the 8 modules at your own pace, while being able to refer back to past materials easily to review specific cards when needed. You can come back to each card and section as many times as you would like. Sage's are complete Tarot newbies. They have always been drawn to the imagery, magic and mystery of the Tarot, but have never taken the steps to learn it. The Sage gets a rush of excitement about learning the Tarot and is an information sponge. A Sage has a book or two (but has secretly never finished either of them, it's cool I won't judge) and looks up tarot meanings every once and a while but needs structure and a step by step process to really get engaged with the material. The Tarot Apprentice course will rock the Sage's little socks. We don't just cover the 78 cards but a lot of Tarot readers' foundational information with a wealth of videos and writings. Rowan's learnt the Tarot years ago, but for the last few years their precious 78 cards have been collecting dust while whispering to be picked up again. Rowan's want a unique refresher that is not just another book. Rowan's are seriously thinking about developing their Tarot skills and want to rejuvenate their foundations. For Rowan's The Tarot Apprentice reignites the fun and passion of the cards. By refreshing your love for the tool, you'll flourish in your practice. Rowan's know that they want to be the commander of their own life and want to work past some of the repeating cycles they have been creating using a hugely successful, multi-faceted and accessible tool. Beau's love learning as much as they can about the Tarot. They have drool-worthy collection of decks and are always looking to expand their knowledge on the cards and their connection to them. Beau's want to build a community and join in on conversations with like-minded Tarot People. Beau's know that the Tarot is their JAM and are going to have their own Tarot business in the future. 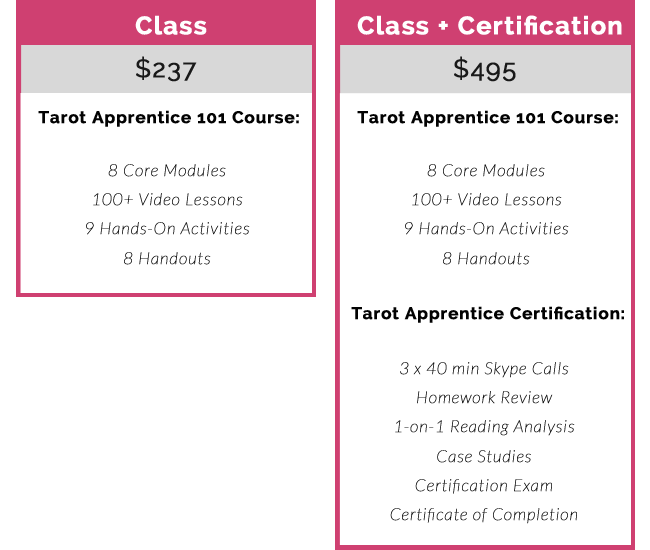 Beau's know their stuff, but are serious about getting professional development and certification under their belt before they start to build their Tarot empire. Having lifetime access to an ever growing course will help to ensure that reviewing and deeper learning is always available. This is also an invaluable step before taking the Tarot Readers Academy's Advanced and Tarot Boss courses. There is nothing else on earth like the Tarot. Nothing. Learning it needs to be an interactive and transformational experience. This is not a stuffy boring course. I sing. I occasionally cuss. I'm passionate and I want to connect you to this amazing tool. This course gives you the time, encouraging space, permission to dive deep and discover. Often, we push our passions to the side because life gets bloody crazy! I know I have an 16 month old, who keeps me on my toes! The Tarot Apprentice course will always be there, ready and waiting for you. You can complete the one module a week as recommended or you can just finish a couple of lectures at a time. Do it at your own pace. AND our amazing Tarot Readers Academy tracks your progress. Are there Videos for visual learners? Yes! There are videos, stacks of them. You betcha! There are downloadable worksheets for each module. Will there be a practical element to this course? Absolutely! There are hands-on exercises for every module. There is the amazing community where you can collaborate and connect with fellow academy members and grow together. We have a private Facebook community where you can ask myself and other members questions and get access to an amazing wealth of knowledge about Tarot. You will be the first to know when there are additions to the content as this course is constantly growing. About The Tarot Reader Certification. If you want to read Tarot for other people and build relationships with Clients then the Certification is available as well. The Certification includes There are a bunch of additional offerings for students, who want to get a certification. I take certification SERIOUSLY. I will only certify those who have DONE THE WORK and who are ready themselves. If you choose certification, but need to take more time, then we take more time. No mass certification here. This is the option for those Students who want to work with the Tarot professionally. All homework for the certification checklist will be personally reviewed and checked before and this will also be open for discussion. 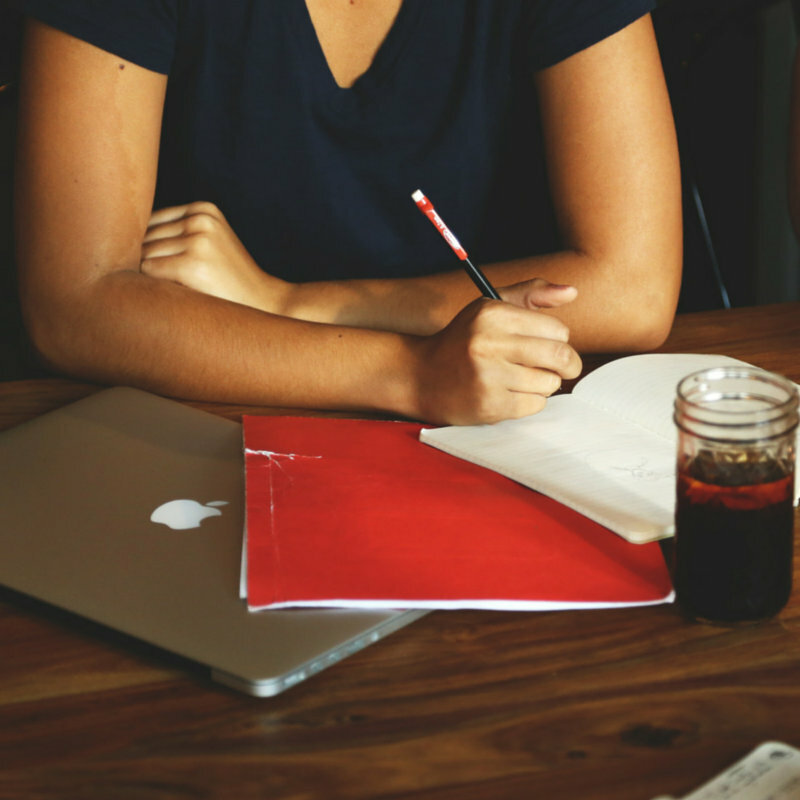 5 Case studies with real people will be arranged for you to complete for your certification. Ongoing support in your Tarot Career. Please note that all course investment is in USD. If you are geographically located in the EU, VAT will be added to your course investment at checkout. This is done automatically by the software we use. What if I don't like the course after signing up? Our refund policy is this: blood, sweat and tears have been shed to get this baby out into the world. So if you want your money back within the 14 days you have from your course start. (Either enter launch date or your purchase date going forward) I will want to know why. Not to be a bully about giving you your refund. I want to know how this course and I failed you. Because I don't want to fail anyone, especially if any part of the exchange between us gave you unmet expectations. I will want to complete an exit interview and questionnaire with you to make sure that we were super clear on the communication of what this course is and what you would get and why you signed up. What do I need to have before starting the course? All you need is a Rider-Waite Smith Tarot Deck and a Notebook that can be used as your Tarot Journal. Here are some of my recommended Tarot Decks for Tarot Apprentice Students. What do past Students of yours say about the course? My past students have all been in face to face workshops of mine, so please do keep that in mind with the testimonials. I think the online course is even better as it has more advantages. 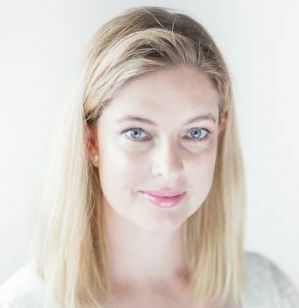 'I originally had a mini reading with Ethony and loved her simple and matter of fact approach to her readings, she was caring but more importantly honest and skilful in revealing truths I couldn't yet see that did come to pass. Intrigued I then joined one of her tarot classes just to learn more about it rather than to do readings for others. The course was so fantastic, Ethony is sooooo passionate and knowledgeable about the tarot I was blown away by the depth of her understanding, her passion was infectious and the class became a highlight of the week, I learnt so much and gained a lot of confidence in my readings and now enjoy reading not only for myself but friends and family too. For more testimonials please visit. I think I am ready and other suggestions? Please go on and view my videos on my channel before you sign up if you haven't already. If you have found us through the Youtube Channel. Why? Because once upon a time, I dumped a lot of money into a course that I was super excited about. When I finally got around to doing the paid courses the presenters voice made me want to scream. I couldn't listen to it. Which meant over 50% of the content was useless to me. So, see if you like what I have to say on my weekly channel and how I say it. Thank you for stopping by and if this course is right for you, if you feel excited about it, I look forward to meeting you and sharing your Tarot Journey with you. The course starts when ever you are ready and is completely self paced. We recommend completing one lesson a week. Certification Calls are scheduled in around week 4. What do I need get? What are my Tarot Apprentice supplies? I am a complete beginner with the Tarot is this course for me? Yes! This course has been designed for those who have never picked up a Tarot deck to those who are have a intermediate understanding of the Tarot. Even advanced Tarot students will get a lot out of this course. I have Google why do I need this course? Good question as that is very true there is a lot of information out on the internet on every subject. 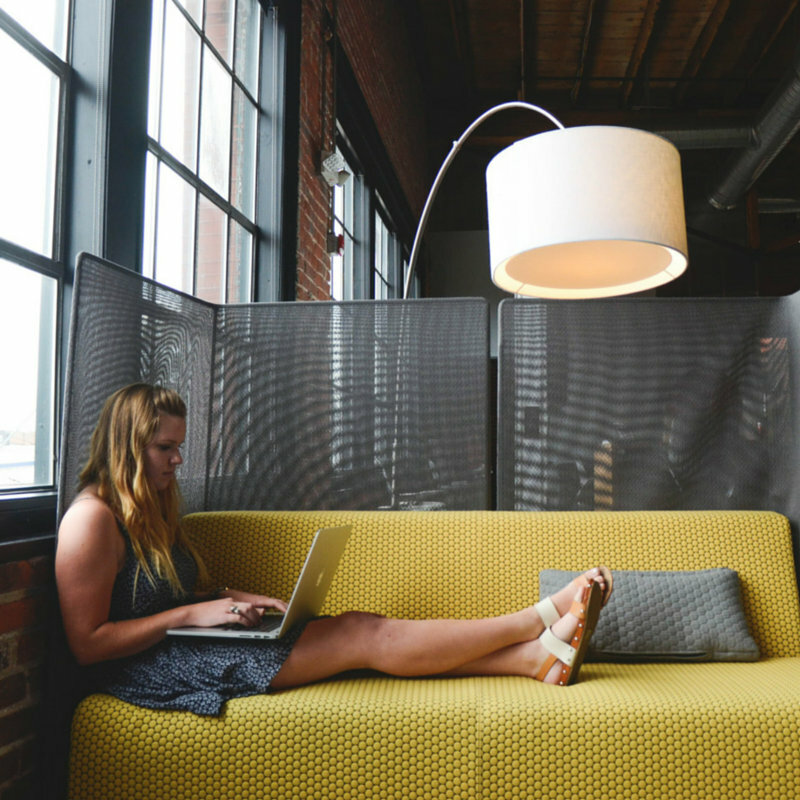 The value of this course is the 10 hours + of video training. The huge amount of information and the support of students and course creator in the Facebook Group. Anytime there is something new added to this course you get access! We all have our own points of view to share on the Tarot and you never stop learning. Lifetime access to all course materials and all upgraded course materials. Here is what you get on top of lifetime access to the course and community. 1 on 1 with Ethony - Over Skype. During this session we will discuss any Questions, concerns, personal blocks. If you purchase this payment plan please be aware that the refund policy applies. Please note that refund policy applies to payment plan options.